Our other Maine options are quite diverse and range significantly in size and price. Ranging from the simple elegance of the island cottage at the top of the page, to the extraordinary Sea Glass estate at the bottom of the page. 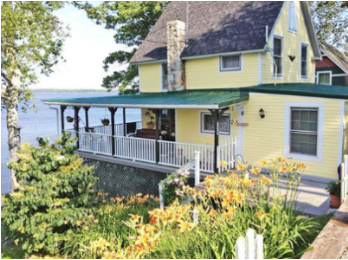 Our program has an arrangement with On the Water a summer rental agency to help clients find a property that fits their needs. Regardless of the setting chosen the clinical staff remain near by and available for both regular scheduled and “as needed” couples and family sessions.